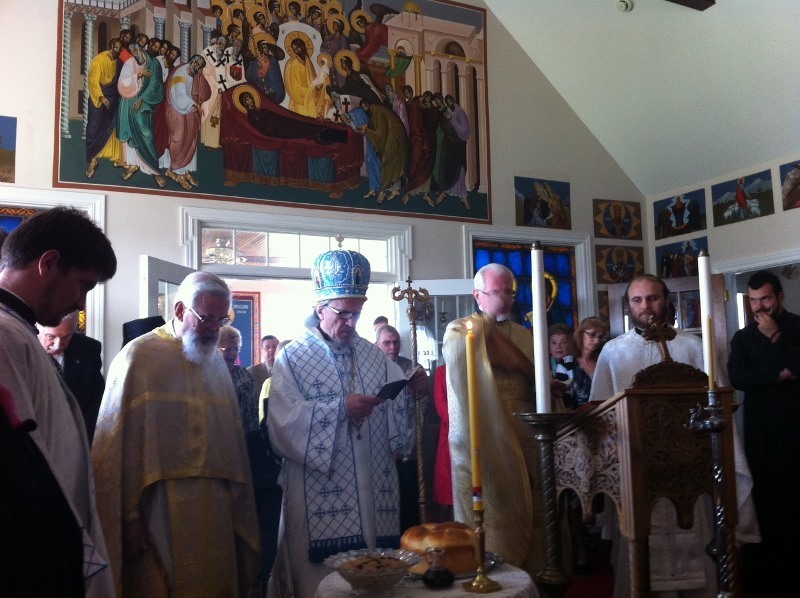 Pittsburgh, PA - His Grace Bishop Mitrophan of Eastern America officiated at the Holy Hierarchical Divine Liturgy on Saturday, September 7, 2013 at the Episcopal residence in Mars, outside of Pittsburgh, on the occasion of the celebration of the Diocesan Chapel Patron Saint St. Nikodim, Archbishop of Serbia. Concelebrating with the bishop were V. Rev. Stavrophor Dragoljub Malich, the Episcopal Deputy, V. Rev. 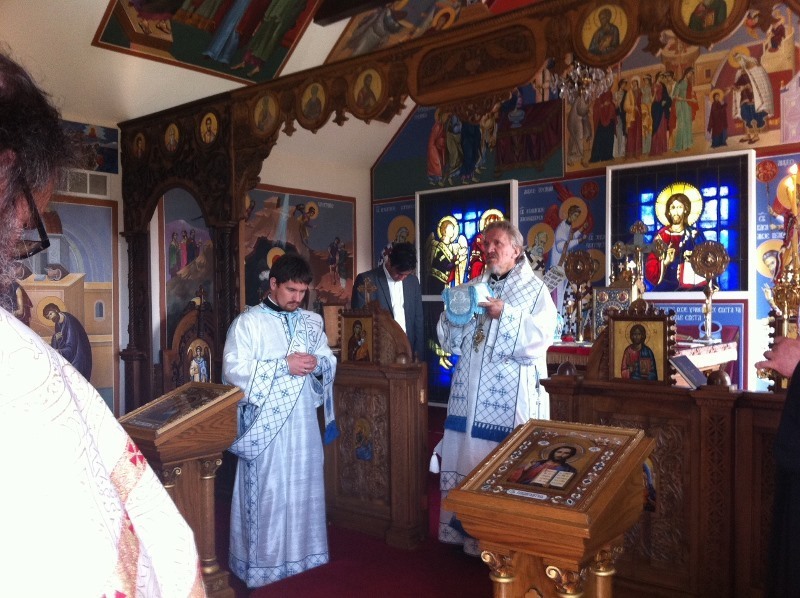 Stevan Stepanov, the dean of the Pittsburgh Deanery, V. Rev. Stavrophor Dr. Rodney Torbic, Director of Christian Education and Hieromonk Platon (Jovic) from New Marcha Monastery in Richfield,Ohio. Attending the Slava were clergy and laity from the Cleveland, Pittsburgh and Washington deaneries. The cutting of the Slava Kolach followed the liturgy after which a luncheon was prepared for all the guests.